This picture has been around for awhile but I never realized that it was not publicly accessible. I updated the image with where the origin is located with respect to drawn content and how that relates to the content container. I & my colleagues have just launched a facebook game titled “Tiki Farm”. p.s. would you please tell me why i’m being banned from the usergroup ? Are you still banned from the user group? I am not sure why you were banned. Sorry for my late reply. I am wondering, how can I get the width and length in iso as accurately as possible from a movieclip so that I can set width and length correctly? 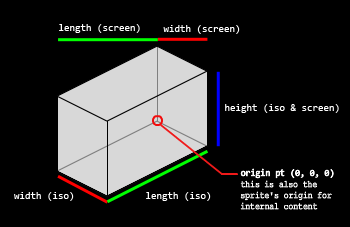 Actually I don’t understand what IsoMath.screenToIso(pt) do, How I can place my object in x:50, y:30 in screen coordinates. Is it by converting my pt which is (50, 30) to iso by IsoMath.screenToIso(pt) and do object.moveTo(pt.x, pt.y)?? hi, i have depth problem. i have used DefaultSceneLayoutRenderer but it did’t work. This way others might be able to learn from your question and subsequent answers. This blog is for general informative purposes only and doesn’t tackle development issues.